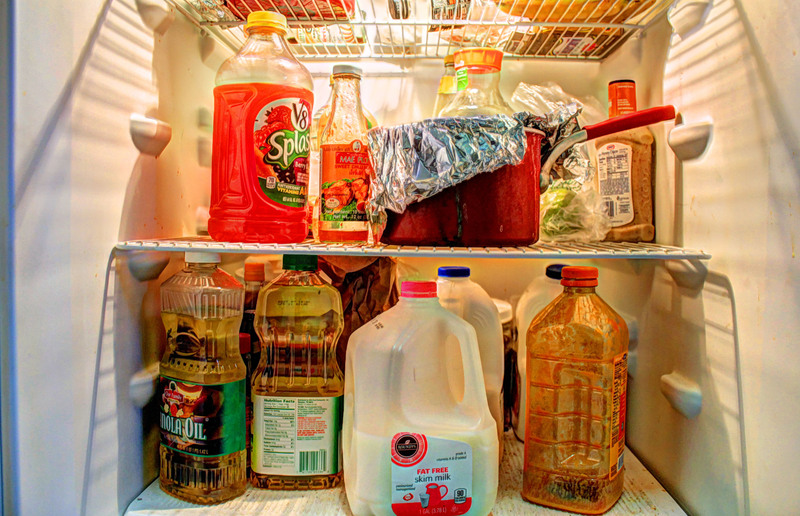 There are plenty of things that are in that refrigerator of yours that are cause odors. There will always be odor generators just because there is food in the refrigerator. If you open your refrigerator and smell something bad, it is high time to do a bit of investigation. You need to do this for a number of reasons. Old spoiling food can harbor bacteria that can make you very sick. Bad smells can even change the flavor of fresh food. 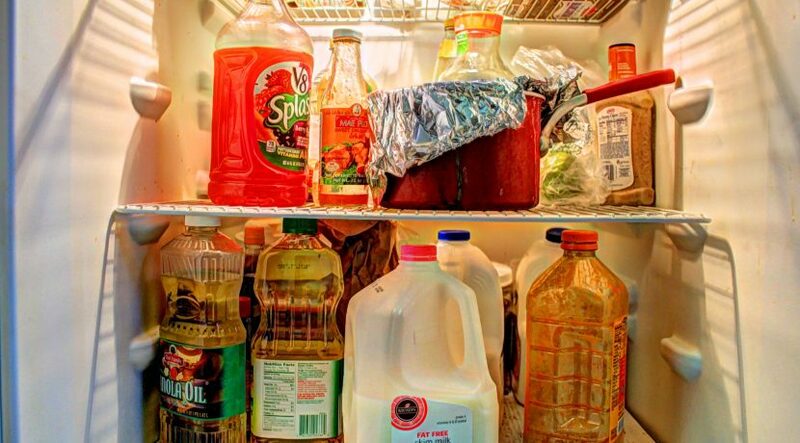 So, what can you do to remove the smells that lurk in your refrigerator? Here are a few tips to think about. Make sure that you have a fresh box of baking soda in your refrigerator. Not all smells in the refrigerator are bad right away. But you don’t want leftover Mexican food to make your milk taste bad. The baking soda will help to absorb most smells so that they do not interact with each other in the fridge. Replace this box at least every three months. Clean it out! The next thing that you need to do is to do a thorough cleaning of your refrigerator. That means that you will need to invest a bit of time in taking everything out, scrubbing it down to remove all the grime in it and then sanitizing it. This will remove any spills or foods that have been forgotten about in the bottom of your refrigerator. Wash down the interior of your refrigerator with baking soda and water mixed, or vinegar and water in a 50/50 mix. Vinegar is a natural deodorizer and mild disinfectant. The vinegar smell quickly dissipates, so don’t worry that you are swapping one smell for another. Either of these solutions will help to remove some odors as well as keep it clean. Do you know what is lurking in the back of all the drawers? Yes, one of the most important things to think about that is likely causing the smell in your refrigerator are expired or rotting foods that you have forgotten or that have been pushed back and hidden behind something else. Meat is a common culprit and goes bad really fast. You should make it a point to check the expiration dates that are located on all packages of food. Throw them out if they expire, not only because they will not taste good but also because they can make you sick. Spoiled food is commonly a cause of bad odor. Make sure to look under the refrigerator as well. If you have kids then you probably have things under your fridge. It is common for things to spill and only be cleaned up partially. The problem is, though, that those food spills will begin to smell. The fans located under the refrigerator can bring that smell into it. Can’t get the smell to go away? It happens sometimes. That means that you need to invest a bit of time in finding the right solution for your odor. To help you, we have included a few tips that can help you to get rid of even the worst of conditions. Take a shallow pan and place a layer of baking soda on it. Place these pans inside of your refrigerator. They will help to absorb the foul smell. You should try to keep the refrigerator open and unplugged for a few hours to help to air it out and allow the baking soda to do its job. Use activated charcoal. You can purchase this type of charcoal at your local house wares store. Or, look at your pet shop. Place a layer of it on a shallow pan and place it inside of the refrigerator. Keep the settings on low and let it run for a few days in this manner. Do not keep food in it, though. Cat litter can also work to help eliminate odors. Do the same method of placing a shallow layer of it in a pan and place in your refrigerator. It will pull the smells out of the air. Leave it this way for several days, running the refrigerator empty and on low temperature. Vanilla extract can also help. Do not use pure vanilla but imitation. Coffee grounds are known for their ability to absorb the flavors of the things around them. If none of these work, then use a commercial odor removing product. In most cases, though, your odors are going to be gone at this point. Removing odors from some refrigerators may be difficult, especially if the unit is old. Make sure to keep the refrigerator running correctly by having it tuned up by a professional yearly. This will help increase its ability to filter properly. Now, this will probably help you to remove any odors that you have lurking in your refrigerator. But, sometimes there may be something down there that is causing a bit more of a problem for you. Below you will find some more tips to help you to clean out that refrigerator of any smell lurking there. The first thing that you need to do is keep the weekly and the daily cleaning of the refrigerator up to date. Clean up spills as soon as they happen. That means that you need to remove the drawers and clean under them. This is the location with the most potential for trouble as the stains are likely to stay. Always store food in covered containers. Open things can easily spill or be pushed to the back and forgotten about until they spill. Keep an eye on the leftovers. That is, you should not allow food to sit in your fridge for too long. You want to make sure that all food is thrown out as soon as it gets bad. Food that is stored too long will develop mold which could contaminate other foods as well. Monitor the temperature in it. You need to keep the gauge set accurately so that food does not spoil, but also so that bacteria does not grow. To keep odors from moving from one type of food to the next, store an open box of baking soda in the refrigerator. Use a sanitized towel to wipe down the shelves, handles and door each day or week as needed. This should be done as needed but at least weekly to keep the grime from building up.